To teenage boys, the biggest mystery in the world is teenage girls. This film, centering around five daughters to a controlling mother and the boys that desire them, does an excellent job of portraying this, keeping just enough puzzle pieces out of our hands as to fully understand the girls. And this was directed by a woman, interestingly enough, which tells me that there’s a great deliberate female conspiracy at work in the world. I knew it all along! 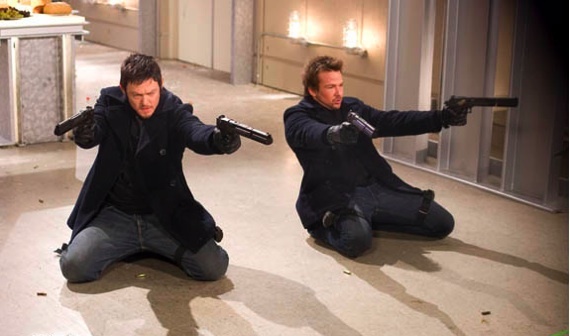 The Boondock Saints is very much a case of style over substance. It’s also actually pretentious in the way it tries to shoehorn in half-assed debate over vigilante justice towards the end, after having spent the entire film utterly glorifying it. So yeah, this film has some issues. Fortunately, if one looks past these, there’s a tremendously fun action comedy to be had about two brothers (Sean Patrick Flanery and Norman Reedus) believing themselves to be hand-picked by God to clean up the criminal elements of Boston. Using slick jumps back-and-forth in time to show their deeds and the police investigations thereof (conducted by a superbly scenery-chewing Willem Dafoe), The Boondock Saints rises above most of the other Tarantino-inspired “clever” crime flicks. 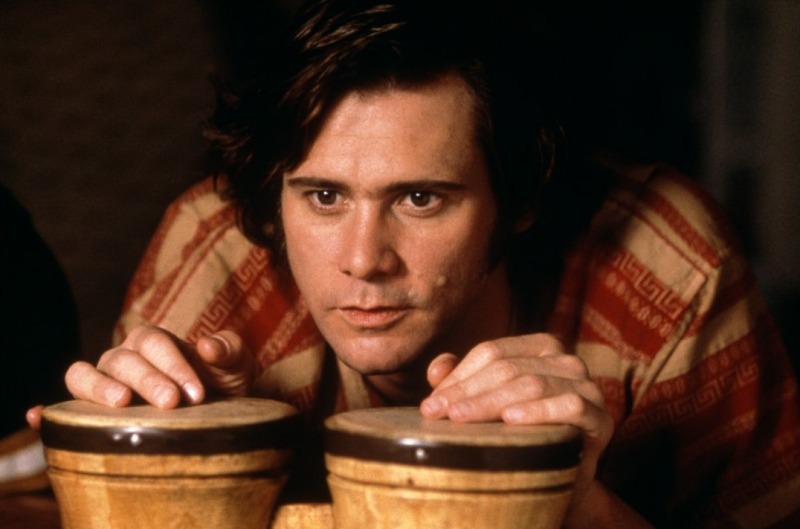 I’m not overly familiar with provocative comedian Andy Kaufman‘s work, so I can’t say whether Jim Carrey‘s performance as him in this biopic is accurate or not. What is clear, however, is that this is a fascinating portrayal of a man torn between his artistic impulses and his desire to entertain people. For some, these could be fused together. Not for Kaufman, who always felt the need to defy everyone’s expectations and travel steps beyond into subversion. While not strictly speaking a comedy, Man on the Moon still inherently has lots of funny moments during its run-time, from Kaufman’s pro wrestling shenanigans to his lounge singer alter ego Tony Clifton. A great and sometimes overlooked biopic. 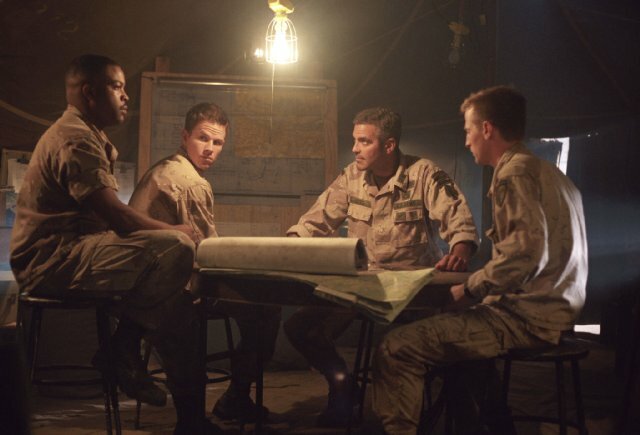 War movies is not a genre I’ve found much to love in so far in my cinematic journey, but Three Kings is a stellar exception to this, perhaps thanks to the infusion of heist film elements. Title notwithstanding, Three Kings follows four American soldiers of the Gulf War (George Clooney, Mark Wahlberg, Ice Cube, and a publicity-wise forgotten Spike Jonze) as they venture out in search of gold during the Iraqi uprisings of 1991. What’s interesting is how director/writer David O. Russell plays with the expectations of both the characters and the audience. The soldiers at first sees their treasure hunt as a fun adventure, but as their search goes on, they realize that the realities of war – and its aftermath – are ever-present. So the film gets increasingly more serious and poignant as it goes on, and yet there’s always a hint of satire to the proceedings. Add in some memorable stylistic choices – including a great shot of a bullet entering a human body – and you have one hell of a great film. One of the coolest movies ever. It cruises along on a general atmosphere of badassness, together with some noir sensibilities, a washed-out color scheme, and a comically grim-faced Mel Gibson in the lead. The story is simple: a Chicago crook is after some money he had rightfully stolen. What follows is a violent and funny series of events as he goes up against crime syndicates, corrupt cops, and old friends. Pure entertainment. Not just the feature film directing debut of Spike Jonze, but also the first film to be penned by Charlie Kaufman. And what a unique and twisting story it is, all centering around a portal that inexplicably puts people in the head of actor John Malkovich. Then you have a bunch of people all trying to use this remarkable thing for their own selfish purposes, an off-beat kind of humor, and some delightful performances from John Cusack, Cameron Diaz, Catherine Keener, Malkovich himself, and others. 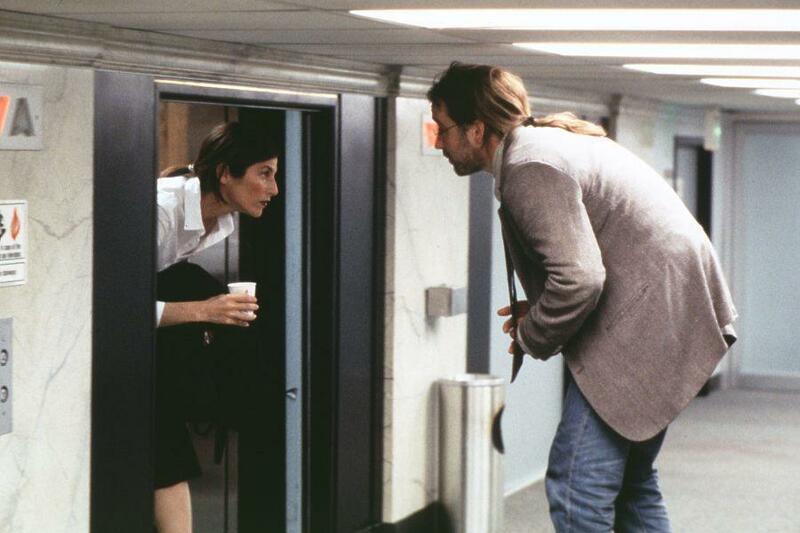 Most importantly, Being John Malkovich is a film where you never know what’s going to happen next. This is a rarer quality than it should be, and thus, this film deserves all the acclaim in the world. Too many viewers took Fight Club‘s anarchaic elements at face value rather than seeing the condemning satire beyond, so certain elements of its story could perhaps have been handled in a different way – or maybe the lesson is that at the end of the day, people will be people. Regardless, Fight Club remains a modern black comedy masterpiece, combining David Fincher‘s filthy sense of aesthetics and source novel author Chuck Palahniuk‘s unique view of the world into one stylish and biting package. Edward Norton, Brad Pitt and (especially) Helena Bonham Carter put in some of their best work on screen. Oh, and the film is really effing funny too. This one could have earned its top spot by virtue of all its amazing line readings alone. Sam Mendes‘ first look at the dark side of suburban life – a theme he’d follow up on with 2008’s Revolutionary Road – is a wonderfully funny movie that excels in most areas, from dialogue and performances to cinematography and score. Hopeful and despairing, beautiful and ugly, hilarious and tragic. There’s good reason why I for a long time called this my very favorite movie. It’s not quite up there any more, but it hasn’t dropped far. What were you favorite films of 1999? What do you think of the movies on this list? Man, this list is nothing like mine. So far, I’d say it’s our most divisive year yet! I strongly agree about American Beauty, Being John Malkovich and Eyes Wide Shut. Brilliant masterpieces. The rest of your list — meh. Mostly overrated, I thought. The only one I didn’t see was Boondock Saints. 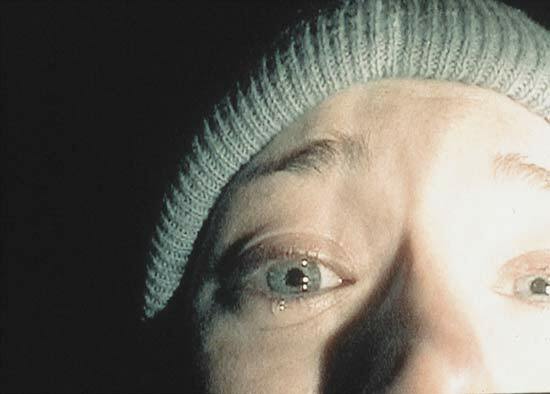 I didn’t care for Blair Witch at all, and Virgin Suicides didn’t overly impress me. But I did enjoy Fight Club, Payback, Three Kings and Man on the Moon on a 3-star-out-of-5 level. Not great, but good nonetheless. You need to bump Magnolia from your honorable mentions up to the greats. It’s flawed, for sure, but what a sprawling masterpiece that is. So many scenes still resonate with me strongly. Toy Story 2 also deserves the bump up. I won’t list all of my favorites on here, but I cannot NOT mention Michael Mann’s brilliant The Insider, Minghella’s The Talented Mr. Ripley, and McTiernan’s rollicking fun, The Thomas Crown Affair. Ah…well. There’s always next year. Oh! I meant to put The Talented Mr. Ripley among the HMs all along. Guess I forgot to. Problem rectified. Thanks for the heads-up. Haven’t seen the other two suggestions you made, but they’re on my radar. I think maybe our lists will turn out more and more divisive the further back we travel through the 90s. There will be more “mainstream” stuff and a bit less hidden gems, as I haven’t explored the decade quite as thoroughly as the 00s yet. There will also be many films showing up that I first saw way before I really became a movie fan, so nostalgia will play a bigger part in my selections. Or maybe things won’t differ too much. Maybe 98 will be an identical match kind of year. We’ll see. 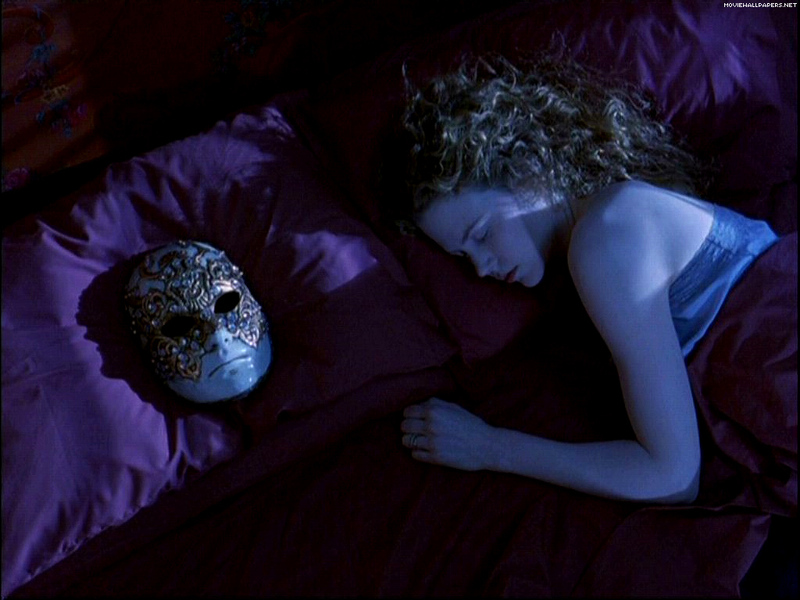 Though I’m sorely sad to see MAGNOLIA miss the cut, I am happy for the presence of EYES WIDE SHUT, which is my second favourite film of 1999. AMERICAN BEAUTY would also definitely be on there, though perhaps not FIGHT CLUB (which I like but don’t love). I also saw MAN IN THE MOON a while back and thought it was great, so it’s nice to see some love for that one. I’ll just stick to one film from 1999 that I’ll recommend: the popular Japanese horror film AUDITION. Try to avoid reading anything about it and just watch it. The less you know about it, the more amazing it is to watch. Believe me. Ha! I was actually thinking about you when I put Magnolia among my Honorablle Mentions. “Man, Tyler is gonna hate me now”. It was a close call between that one and Eyes Wide Shut for #10 on the list. I have seen Audition, but was sadly unable to do so without knowing “that” in advance. I’m pretty sure that’s part of my tepid response to that film. It just didn’t have any real impact. I agree: Audition is one of those films you should just see without knowing a single thing about it. But maybe that’s not the whole story. I have seen 6 films by Takashi Miike in total, and have yet to find anything to truly love, so it’s possible that he’s just not my cup of tea. Indeed, it was a very good year. Your list shows shows some of the width available, and many of them are really good films. I don’t think I’ve seen The Matrix since it was in theaters. That was a long time ago. I probably haven’t seen The Sixth Sense more than once either, long ago. I probably owe them both rewatches. I’d go Fight Club, American Beauty, BWP, Office Space, then maybe Green Mile. What an amazing year for film! Still need to see Payback, Man on the Moon and Boondock Saints! Nice list man! Thank you! You’re in for a treat with Payback. That one’s just rock-solid fun. I won’t guarantee you’ll like The Boondock Saints, though. That films seems to have as many detractors as it does fans. Still, I very much enjoy it, obviously. Hope you do too. 1999 was, to me, that last truly great year for cinema (well, 2007 was damn fine too). So many excellent films to chose from. Love seeing that your number 1 pick is my number one pick too. Great list, my friend! I try to be of the mindset that every year has its share of great movies. Some years, you just have to dig deeper for them. 1999 certainly had a good amount of them, though. Thank you for the nice words! Interesting list of great films. The Virgin Suicides is a haunting and lyrical watching accentuated by the music provided by Air. Yeah, I remember the music having quite the effect in The Virgin Suicides. Now I really want to rewatch it. Or at least check out the soundtrack. Yeah I remember that it had such a dreamy sound tinged with inevitable melancholy.